From legendary director Mark Polonia! 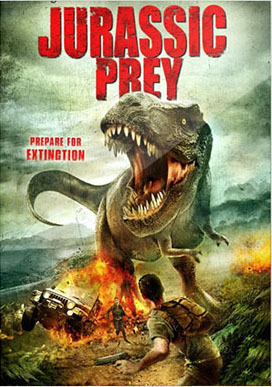 After a botched bank robbery, a group of thieves clash with police and others while trying to hideout at a remote lake cabin, but unknown to them all, a recent mining explosion has unearthed a prehistoric T-Rex beast, who is the perfect hunter, and is very hungry. Now, they must all band together and fight to stay alive as this Jurassic predator hunts them down one by one, piece by piece.